Arsenal returned to form somewhat in this past Saturday's 3-0 evisceration of West Ham at Upton Park. More than anything else though, I think it showed what the team could do when they stepped down in competition from Ipswich to this pack of relegation certainties. They've given up the ghost quicker than a room recently vacated by Egon Spengler and Peter Venkman. Regardless of the opposition, this match required a much stronger starting eleven than we got in the last two cup fixtures, and Arsene Wenger duly obliged. Samir Nasri and Robin van Persie both returned, while Theo Walcott was preferred out on the right. Emmanuel Eboue started due to the ongoing suspension of Bacary Sagna, and the rest of the side essentially picked itself. The Hammers were without midfield linchpin Scott Parker, which made life infinitely easier for the Gunners on the day. As it stood, the game was only three minutes old before Arsenal had their first chance. The less said about van Persie's free kick from close in though, the better. Another free kick was won a few minutes later, this time a deflected effort safely finding itself in Robert Green's hands. Arsenal were entirely on the front foot though, and it was no surprise to see the men in yellow take the lead at the 13' mark. Walcott had the run of the Irons' midfield, and sent a gorgeous pass into their penalty area. Nasri dummied brilliantly, leaving the defenders for dead as the ball came out to van Persie. The Dutchman easily rolled the ball into the corner of the net, with his pied du chocolat to boot! One-nil to the Arsenal, then, and any token resistance put up by the home side deflated afterwards. In fact, it could have been 3-0 inside of the next five minutes. First, only a desperate punch from Green cleared their lines with Gunners swarming around the ball. Then, Walcott ran onto a long ball and eluded the attentions of James Tomkins. Sadly, his shot was shoveled weakly at the West Ham keeper. Despite the constant pressure put on the Hammers, it wouldn't be an Arsenal match without one incredibly frustrating defensive breakdown, right? Johan Djourou has been especially solid during his run in the first team, but he almost cost us a goal on this occasion. A weak backpass was pounced on by Carlton Cole, who tore into the Arsenal penalty area and fired on goal. Luckily, he had a slightly restricted angle towards the net. Wojciech Szezcsny, starting in goal in place of the injured Lukasz Fabianski, read this beautifully and decisively charged out of his net. He dived at Cole's feet, making himself as big as possible. It worked, with Cole's shot hitting him square in the chest. Zavon Hines had a decent chance on the follow-up, but his shot entered low Earth orbit. That was their chance - I don't recall Chesney's net being seriously threatened at any point afterwards. Nasri could have doubled the lead soon after, as his run into the West Ham area met nothing in the way of resistance (Wayne Bridge being particularly culpable - trust me, we'll revisit this later), but he too weakly scuffed his shot. You have to think that there is still some undercurrent of weakened confidence in this side after their cup misadventures, surely. Despite Arsenal's standard profligacy though, it never had that aura of constant foreboding that 1-0 leads for our lot tend to have. Even on the half-hour mark when van Persie was in alone with Green and found nothing but woodwork, it felt like a temporary stay of East London execution rather than an evil portent. Sure enough, the second goal game with five minutes left to go before the interval. A long ball over the top (weird how many of our recent goals have started that way, eh?) came to van Persie, who was played onside by Bridge. Then, the hapless left back could do nothing to stop the one-two between the Dutchman and Walcott, with the latter completely unmarked in the center of the penalty area. Belying his recent lack of form, he ferociously hammered the ball over Green and into the roof of the net. A thunderbolt from above, that one, and the Irons supporters may as well have gone home at that point. In fact, the Gunners were so taking the piss after the second, the half ended with an offensive move in the West Ham area between Djourou and Alex Song...kind of like something you'd do if you're beating your little brother 11-0 in a game of FIFA. The second half was largely lifeless, and thus I have little memory of it (in fairness, I also rolled out of bed and got right on the subway to the Pig). It was very much a case of as-you-were though, with Arsenal having much of the ball but only rarely getting any kind of penetration into the West Ham area. Whenever he was called upon though, Green did everything he could to keep the score respectable. It's always tough for a guy like that who has one or two high-profile errors (especially in an England shirt - talk about the most thankless supporters on the planet), but he is a solid keeper and always does well against us. Anyway, there wasn't much he could do for Arsenal's third, once again thanks to the abysmal Bridge. 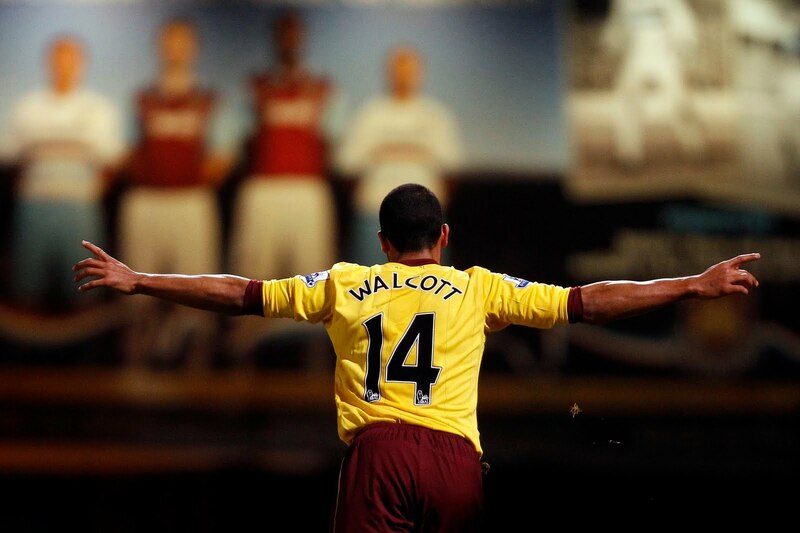 Walcott once again was in the center of it, as he hared into the Hammers' penalty area. Bridge came in late and clearly took him down - Andre Marriner will not have an easier call all season. Green guessed right on the penalty, but van Persie placed it right in the corner with pace. There really isn't much else to say. Denilson made an unwelcome appearance, followed by brief cameos for Kieran Gibbs and Andrei Arshavin (both of whom should have come on much sooner in a 3-0 procession, for different reasons...Gibbs for fitness, Arshavin for confidence). 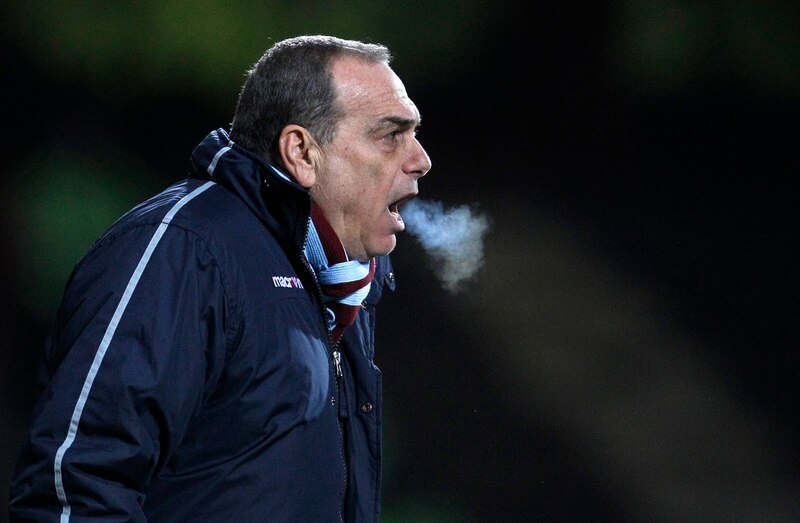 The stench of death is on this West Ham team, and certainly on the hapless Avram Grant (a fine manager who won't get a fair shake again until he gets away from the English press). For us, it's job done, three points and on to the next one.